Merge Google Gmail Contacts with Mergix web app. Merge duplicate Google Contacts safely. 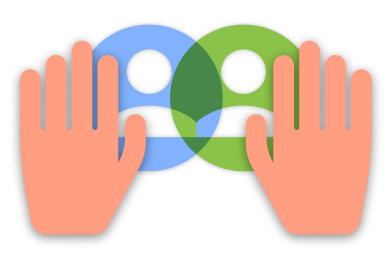 Automated tool for merging contacts in one or across multiple accounts. 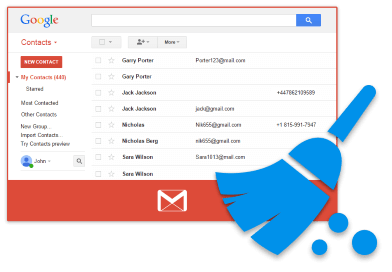 Mergix is a semi-automated solution and tool to merge Google Contacts duplicates in Gmail. Removing and merging identical duplicates is done automatically, similar contacts can be reviewed and merged manually. The data will be backed up every time you run Mergix to be sure you are safe. Merge Contacts across multiple accounts. Managing contacts across multiple Gmail accounts is easier with Mergix. With our service, you will able to deduplicate, merge and sync the cleaned up contacts’ intersection set of connected Gmail accounts, so you can save time on manual updates. The same organization or person’s data will be in all your Google accounts.